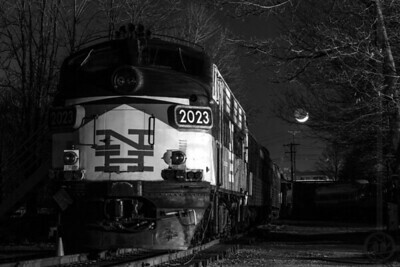 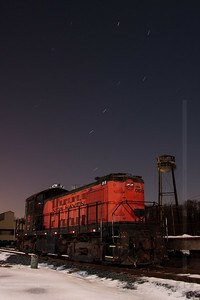 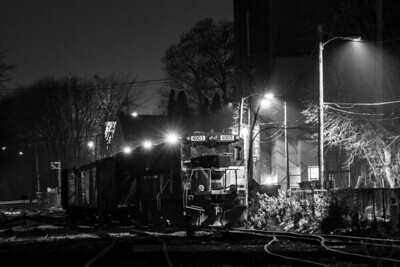 Providence & Worcester train NR-4 pauses in Willimantic yard under a rising moon. 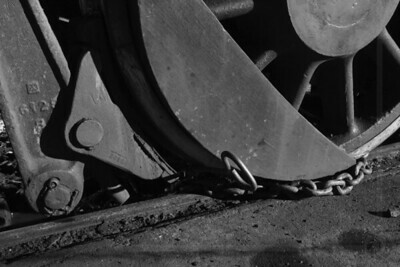 A detailed look at how a steam locomotive's drivers are chocked to prevent unwanted movement. 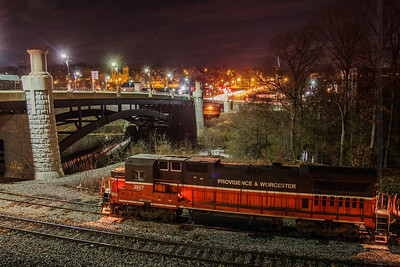 Providence & Worcester train NR-4 pauses near Willimantic, Connecticut's Frog Bridge, waiting to perform interchange duties with the New England Central Railroad. 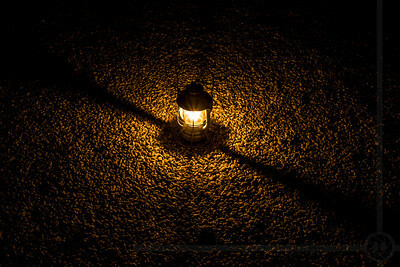 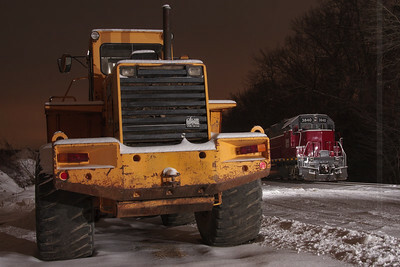 Nighttime Snowfall. 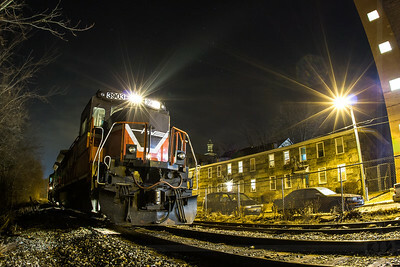 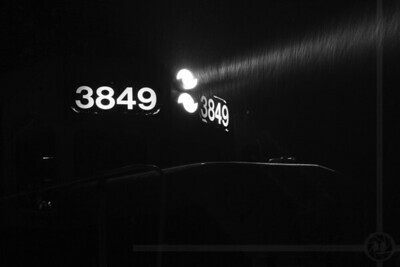 A New England Central Railroad EMD GP-38 idles in South Windham, CT as a storm begins to drop some snow. 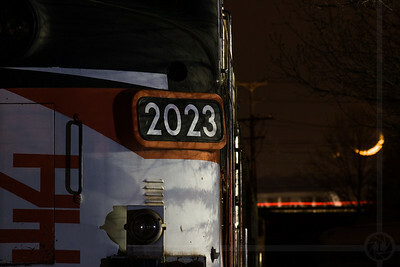 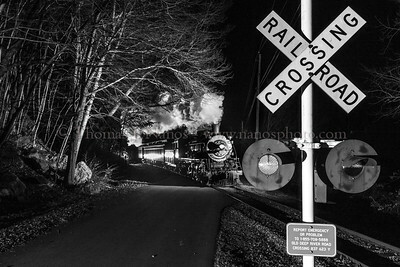 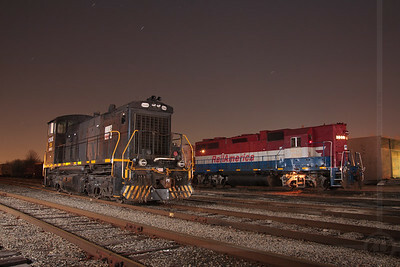 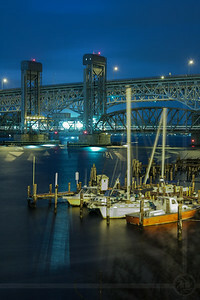 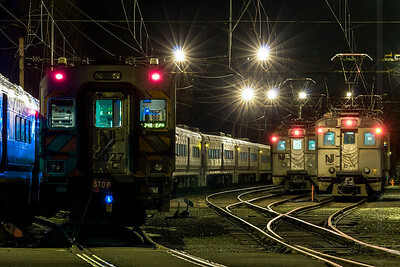 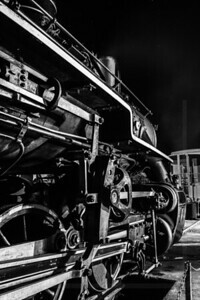 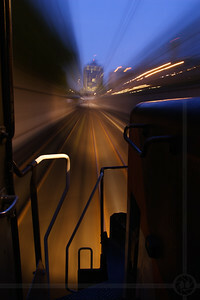 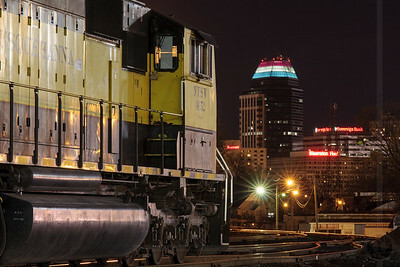 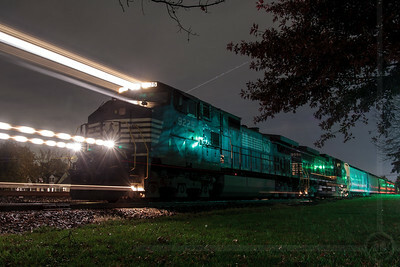 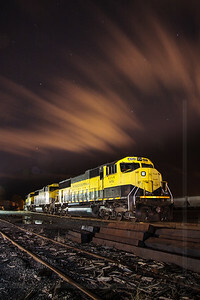 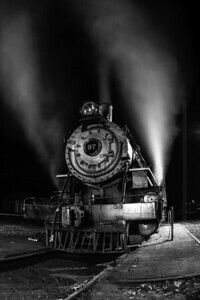 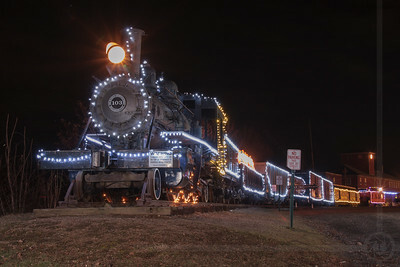 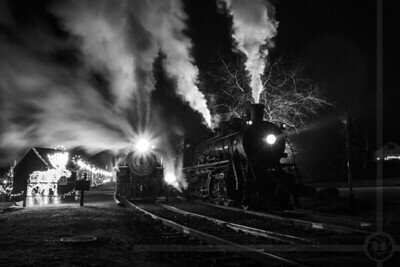 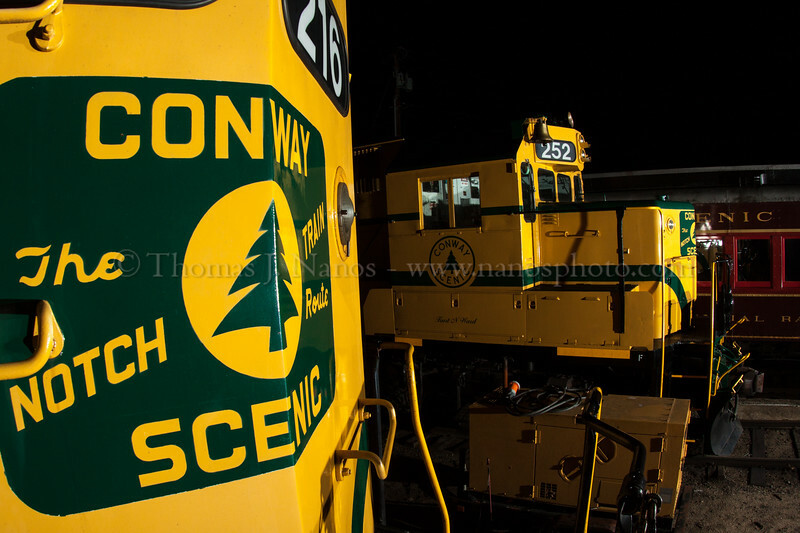 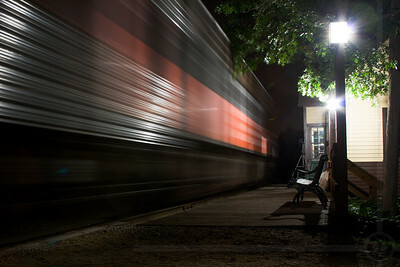 This shot also earned a "Judges Also Liked" honor in the 2009 Center For Railroad Photography and Art's annual Creative Photography award. 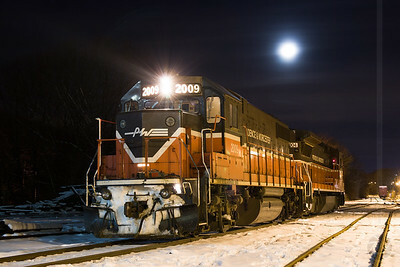 A New England Central Railroad EMD GP-38 idles in South Windham, CT as a storm begins to drop some snow. 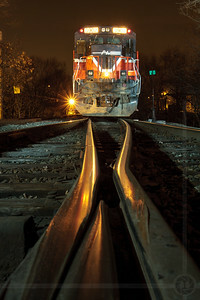 This shot also earned a "Judges Also Liked" honor in the 2009 Center For Railroad Photography and Art's annual Creative Photography award. 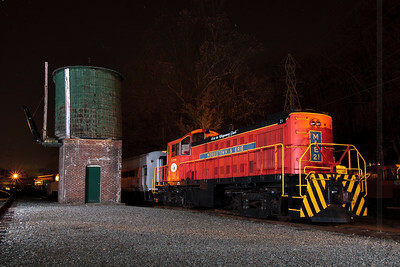 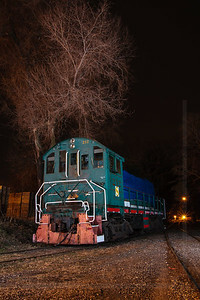 Grafton & Upton switcher #212 - an Alco S-4 - rests in North Grafton, MA. 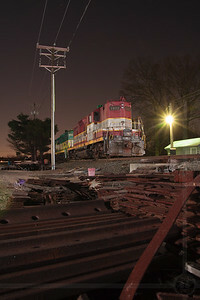 This unit has since met the "blue tipped wrench" and has been scrapped. 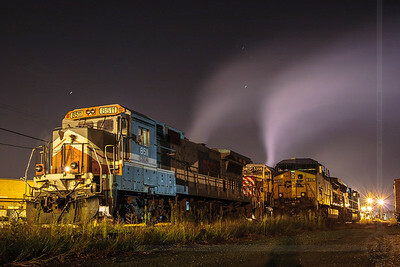 A trio of New York, Susquehanna & Western SD70Ms sit in CSX's West Springfield, MA yard, nearing their final destination of St. Albans, VT. 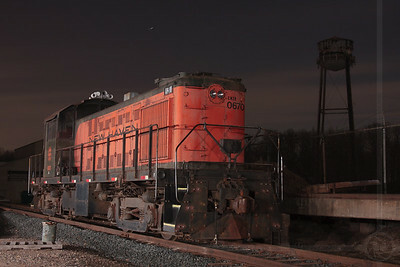 They were previously used by the Florida East Coast Railway, then moved to the New England Central Railroad before being returned to the NYSW.